Marble and the island of Tinos have been entwined for over 5000 years. Home of the Peisistratus Aqueduct, built in 549-542 BCE and used until 1934, the island was under Venetian rule from the 11th-17th centuries, during which time these dovecotes, a trademark of the island’s architecture, were carved to add light to the interiors. Similar examples can be seen in the Folk Art Museum in Athens. 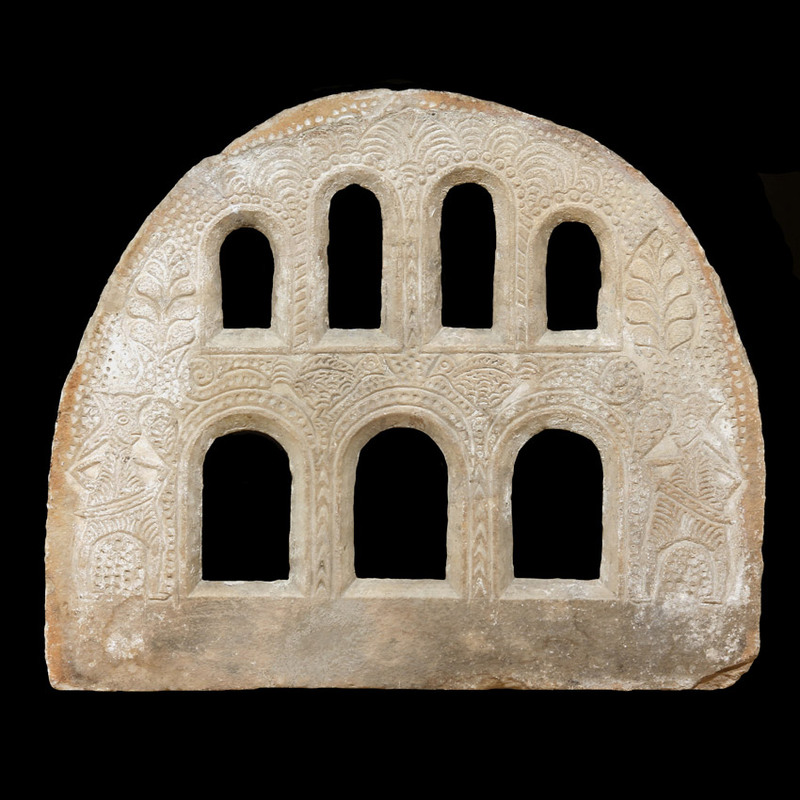 GREEK CARVED MARBLE ARCHITECTURAL GRILLS; the arched form with three over four pierced arches overall incised with scrolling fruited vines. From the Cycladic Island of Tinos. 14th-16th Century.